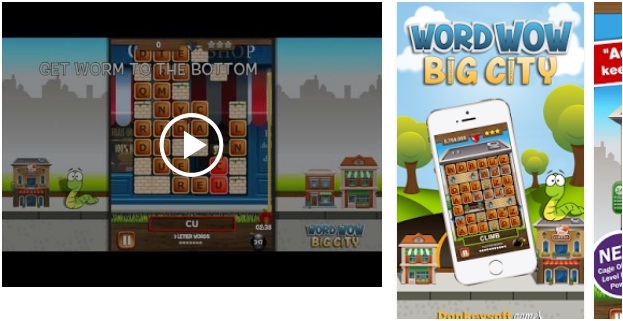 Word Wow Big City-Help Worm App is here! The Worm is geared up for adventure the worm has moved into the cities to know their name. Improve your skill at the same time challenge your word making skills. Puzzle your way down and around obstacles, before time runs out. You can earn bonus while thinking strategically. Download the most exciting game of words and puzzles.